Welcome to Yet Another Tech Show, everyone. Or as we affectionately call it – YATS. 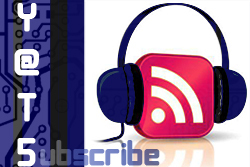 This is the weekly technology podcasts where we strive to bring you informative yet entertaining tech discussions. Our panel this week includes producer Mat Lee, Nick Carroll of Attack of the Androids and myself. I go by Ant Pruitt on these interwebs. Thanks for joining us. Let’s get into the show. Take a gander at the notes as you listen to the audio. We are approaching the holiday shopping season and we at YATS want to advise everyone of you on the importance of security. As you’re out shopping and running around in the season’s consumer mayhem, be mindful of your surroundings and the those that may try to harm you or rob you. Real talk. We have some crazy people in our world and we have to be careful. Also, the geeky folks like us on YATS will not be outside shopping. We’ll be shopping online with our favorite online merchants. Even with this, security is a must. Be careful in your online ventures. I wrote a piece discussing some of the points of security we mention on the show. Check it out and feel free to share your thoughts or comments. Mat was doing some dark reading and wanted to discuss the stories of data being hijacked by nefarious people. 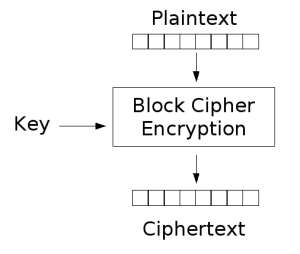 In short, your computer gets infected and hijacked then the hijacker holds your data ransom by encrypting it. Of course this can make consumers panic and actually consider paying the “ransom” price to get the data unencrypted. Few things to remember here. Also if you’re going to make online purchase, use secured payment. Take the time to set up a service such as Paypal, Google Wallet or even use a gift card with the Visa or MasterCard logo on it. These allow you to keep your personal bank account information secured. Google has now launched the Chrome extension to do Google searches with your voice. Similar to the Android phones running Google Now, you can say the phrase “ok Google” and your Chrome web browser will run the query. It works well, but only works if you have an active microphone on your computer. Nick also shared a link that gives you a great run down of commands you can tell Google Chrome. 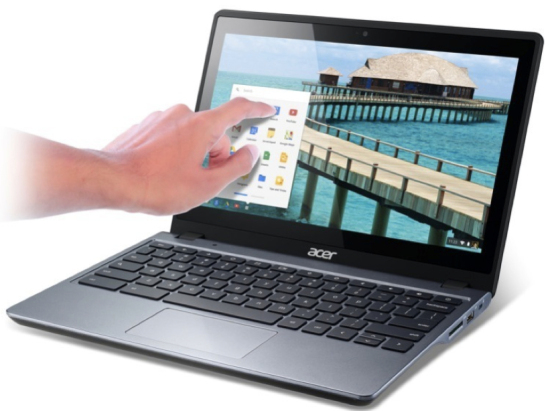 Acer announced the next iteration in Chromebooks with it’s touch screen Chromebook computer. The computer is marked at a great price of $300, one fifth of the Chromebook Pixel price. We discuss the hardware specs, of course, as well as the challenges of having a Chromebook over a standard PC. Not to mention, Microsoft’s attempt at ripping Google for the Chromebook idea. Were you one of the lucky people to get a new Playstation 4 or an XBox 1? Lucky could be used loosely according to most pundits. Well the gaming giants had a few hiccups in their products. Some PS4 users received DOA consoles or consoles that bricked on firmware updates. Some XBox 1 owners received consoles with misaligned disk trays. These stories lead to uproars of the masses and media. Unfairly, in my opinion. I wrote a commentary over on aNewDomain discussing my thoughts on this and why mass production will always lead to small percentages of borked products. Apple has purchased the development company PrimeSense, who was behind the Microsoft Kinect motion sensor. There’s speculation as to why would Apple be interested in this company that no longer has ties with Microsoft. Possibly to use their tech in a new Apple watch or maybe even an Apple Television display? Let the rumors begin! Next, we take a look at how our favorite online merchants are securing our traffic. Don’t be surprised, it’s not that great. When you think of purchasing online, you’d like to think there are more secure measures in place other than SSL. Mike sent us a chart from Gizmodo showing a full breakdown of what popular services are using. Lastly, we discuss and share our recommendations on the Surface Pro 2 versus an actual ultrabook. The two can essentially be the same thing, but also have their own caveats. What would you recommend? Leave us a comment below with your thoughts. That’s it for this week’s Yet Another Tech Show. Thank you all for listening and watching our content each week. It’s always appreciated. 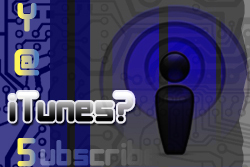 Be sure to take a second to give us a rating in iTunes as well as share our show with your social circles. Follow us in our Google Plus community and you can even join in and submit stories you’d like to have discussed on the show. Thanks, YATS squadron!